A taste of India. It’s hard not to talk about food when discussing Santal de Mysore, Serge Lutens‘ dark, gourmand tribute to that rare, precious Indian wood. Once abundant, Mysore sandalwood is so depleted and protected that it might as well be extinct for everyone but perfumers with the deepest pockets. In the case of Santal de Mysore, I think some clever olfactory alternatives have been used to recreate the dark, deep, spicy, smoky smell of Mysore sandalwood in a fragrance that is as much about food as it is about the precious wood. The special, limited, and cheaper, 50 ml anniversary issue. Santal de Mysore is an eau de parfum that was created with Lutens’ favorite perfumer, Christopher Sheldrake. It was released either in 1991 or 1997, depending on what you read, and the only reason that is significant is because a special anniversary 50 ml bottle seems to have been issued at some point in time. The bottle is significantly cheaper than Santal de Mysore’s usual bell jar form, and is even discounted further on a few online retail sites. Normally, however, Santal de Mysore is considered one of Serge Lutens’ non-export Paris Exclusives that is only available at his Paris headquarters or at Barney’s in New York. The Bell Jar form available from Serge Lutens. This scent takes spices to the limit – they nearly cry out against the sandalwood base. One perceives saffron and, strangely enough, wild carrot. Sweetness paves the way for a blast of heat! Mysore sandalwood, cumin, spices, styrax balsam, caramelized Siamese benzoin, saffron, cinnamon, rosewood, and wild carrot. Santal de Mysore opens on my skin with a burst of spices. There is light curry, followed by leathery burnt styrax resin with a charred caramel aroma, saffron, a slightly herbal note that smells exactly like buttered dill, and a touch of sweetened carrots. I’m actually a little surprised by how the much-maligned curry note, noticeable as it is, feels so light. Perhaps a better description is to say that it doesn’t smell of the stale, cumin, body odor that I had so feared, or of really potent, yellow curry. 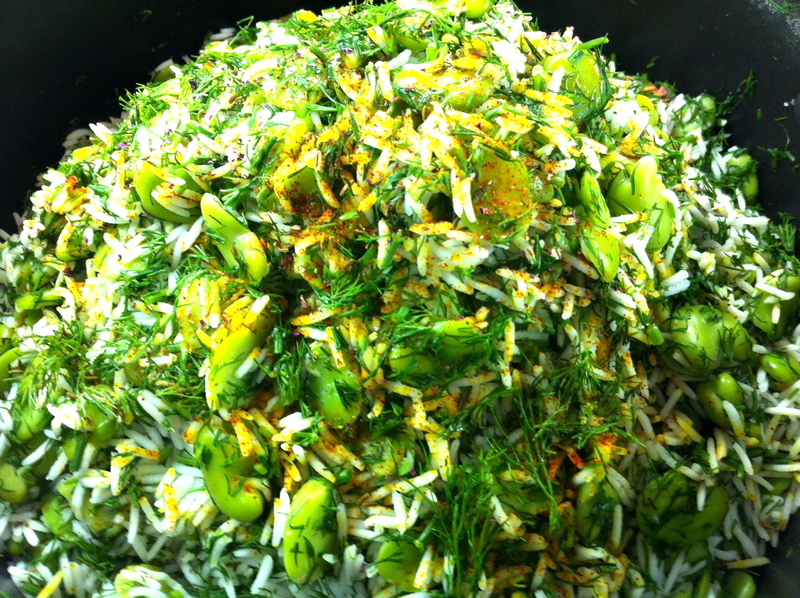 Instead, for me, the strongest aroma is actually hot buttered dill and, specifically, a dill pilau or rice dish in Persian cuisine called Baghali Polo (or sometimes, Sabzi Polo). (There is a recipe for Baghali Polo with lovely photos at Cooking Minette.) Santal de Mysore is more than 75% Baghali Polo on my skin, right down to the little blob of melted saffron butter that some chefs put on top of mound. I really couldn’t believe it, but there is absolutely no doubt at all in my mind of the similarities. There is a spicy wood note underlying it all, but it doesn’t smell like Mysore sandalwood to me. I’ve stopped hiding the fact that I’m a complete sandalwood snob, but that has nothing to do with it in this case. Santal de Mysore doesn’t smell of sandalwood in its opening minutes primarily because the curry, herbal, spiced accords overwhelm everything else in their path. This is a primarily a food fragrance on my skin, not a woody one. Five minutes in, the styrax’s burnt, blackened aroma becomes less harsh, and the resin takes on a slightly tamer aspect. Now, it merely smells very dark, chewy, and balsamic, with sweetened leather, caramel and smoke swirled in. Flickers of cinnamon and saffron dance quietly at the edges, adding a spicy richness to the woody foundation, but I still think that this is “Mysore sandalwood” only by virtue of being built up by additives, instead of the real thing. My belief is underscored by a very definite whiff of something synthetic in the base which gives me a tell-tale pain behind my eye each and every time I take a very deep sniff up close. Ebanol has a very rich, natural sandalwood odour. It is powerful and intense, bringing volume and elegance to woody accords and a diffusive sandalwood effect to compositions. Ebanol is highly substantive on all supports. Javanol is a new-generation sandalwood molecule with unprecedented power and substantivity. It has a rich, natural, creamy sandalwood note like beta santanol. Sandalwood oil from Mysore, India, was for a long time both fairly cheap and gorgeous — which is probably why it was overharvested to the point of needing government protection. I have a small reference sample of the real thing, with its inimitably creamy, tangy smell of buttermilk. I have no idea if Santal de Mysore manages to use any of it or if it depends on the Australian sandalwood (totally different plant and material) or synthetics, because it aims to cover any gaps with an overpowering coconut-and-caramel accord reminiscent of Samsara, a tropical fantasy of rum in oak barrels for armchair pirates. I don’t smell coconut and I personally don’t see the similarities to Guerlain‘s Samsara, but I fully agree that Christopher Sheldrake must have sought to cover the gaps created by the use of synthetics in Santal de Mysore’s base by adding an overpoweringly strong spice and food element as a supplement. I may be a sandalwood snob, but that doesn’t change my impression that the “Mysore sandalwood” aroma is an artificially created construct, and it smells like it. It takes less than 20 minutes for Santal de Mysore to start to shift. The fragrance softens, and drops in projection surprisingly quickly on my skin. Yet, it’s still very potent — even a little sharp — when smelled up close. It’s an intense bouquet of dill, buttered rice and light herbal, cumin curry, followed by saffron, sweet carrots, and chewy, gooey, thickly resinous black sweetness atop a base of spiced, synthetic woods. It’s odd, unusual, very foodie, interesting, somewhat appealing, and somewhat off-putting — all at once. By the 90-minute mark, the green, herbal spiced elements feel even stronger as the styrax’s slightly leathery, burnt caramel aroma continues to soften. 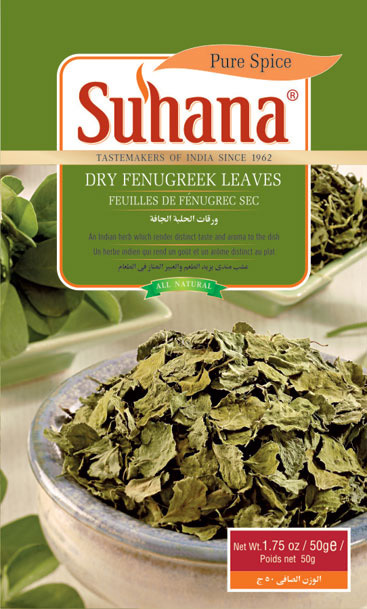 I have to wonder if there is fenugreek in Santal de Mysore, along with something like dried leeks. There are whiffs of something in the fragrance that very much resemble bottles I have of both herbs in my kitchen. Whatever the specifics, the “curry” in Santal de Mysore smells to me like something green in nature, more than spicy red or yellow. To be specific, it’s more along the lines of a Saag than a Korma or Rogan Josh curry made with a possible Garam Masala base. The cumin is there, lurking below, but I truly don’t think it’s as predominant as the more herbal, green curry elements. Even stronger is the burnt caramel aroma that is perhaps the first real thing you smell from a distance. By the end of the second hour, Santal de Mysore turns creamy, smooth, and much better balanced in terms of its spices. There is almost a floral nuance to the deep woods, but the synthetic element remains as well. On some spots on my arm, it’s even a little sharp. Around the 3.5 hour mark, the herbal notes feel almost solely like fenugreek and dried leeks, rather than the earlier buttered dill rice. The dominant bouquet, however, is of cinnamon mixed with burnt caramel. Santal de Mysore’s sillage drops even further, and the fragrance now floats a mere inch above the skin. The perfume’s final dry down begins near the middle of the sixth hour. Santal de Mysore finally — finally — smells primarily of the eponymous woods in its title. It’s rich, deep, smoky, sweet, dark, and beautifully creamy. The woods are now the sole star of the show, though they coat the skin like a veil. The sandalwood probably isn’t real, given the way the woods smelled so synthetic earlier on, but the overall effect is definitely that of Mysore woods. I feel like singing Etta James’ famous song, “At Last.” The lovely drydown continues for another three hours or so, until the fragrance finally fades away as sweetened woods. All in all, Santal de Mysore lasted just shy of 10.25 hours on my skin, with moderate sillage that turned quite soft after a few hours. i wish i could afford jugs of this stuff. it is a tricky one, though! at first, it smells gourmande — curry, black pepper, and butter. delicious to eat, but not so great to smell liek a kitchen. oooh, but wait for it… if you are a sandalwood lover, it is worth the wait. and you don’t have to wait long! on the skin, it mellows out (and warms up!) really quickly. the harsh foodie smells dissipate in maybe 5 minutes, and then the silky road down sandalwood lane begins. this sandalwood is deep, warm, rich, and buttery. it is maybe 2:1 sweet:spicy as sandalwood goes. but you know how some sandalwoods are lovely, but kind of mixed up with vanilla or amber scents? this one is subtly more smokey, spicy, and just enough of a sour or a bitter touch to balance out the sweet buttery parts so that they are not overwhelming. this is a rich, deep sandalwood, as long as you are not turned off by the weirdness of its first few minutes. Great scent if you’re… an Indian chef ;), as it smells exactly the same as curry. Disturbing cloud of heavy cumin and nose-drilling curcuma. No trace of sandalwood or benzoin whatsoever. Literally spicy scent that is harsh and nauseating at the same time. A big no-no..
I’m afraid that Santal de Mysore isn’t for me. I simply don’t like foodie scents in general, and I would have great difficulty walking out of the house smelling of either Persian Baghali Polo or Indian Saag. If it were merely a matter of minutes, I could deal with it, but it was hours and hours on my skin. You may have substantially better luck, but, in all cases, you have to be able to withstand the curry aspects of the opening stage. If you’re one of those people who is utterly phobic about cumin in all its possible manifestations, then I would advise staying away from Santal de Mysore. If you love sandalwood above all else, and enjoy gourmand scents, then you may want to exercise some patience and see how things develop on you. One thing is for certain, Serge Lutens and Christopher Sheldrake truly give you an olfactory carpet ride to India. General Cost & Discounted Sales Prices: Santal de Mysore is an eau de parfum that comes in a discontinued 1.7 oz/50 ml size and in a 75 ml bell jar size. The retail price of the small 50 ml bottle is $200, while the bell jar costs $300 or €135. However, Santal de Mysore is currently discounted at FragranceX which sells Santal de Mysore for $164.50, and Bonanza which sells it for $167.57. Parfums1 sells Santal de Mysore for $180, with free U.S. shipping and no tax. 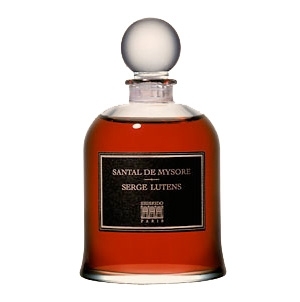 Serge Lutens: Santal de Mysore is offered only in the bell jar version on the U.S. and International Lutens website (with other language options also available), and costs $300 or €135. Outside the U.S.: In Canada, you can find Santal de Mysore at The Perfume Shoppe for what may be US$200, but I’m never sure about their currency since it is primarily an American business with a Vancouver store. They also offer some interesting sample or travel options for Lutens perfumes. Elsewhere in Europe, it’s extremely hard to find the old 50 ml bottle, leaving your only real option to trek to Paris to get the bell jar. I couldn’t find any UK retailers. However, France’s Premiere Avenue has the 50 ml bottle and sells it for €106. I believe they ship world-wide, or at least through the Euro zone. In Australia, the 50 ml bottle of Santal de Mysore is sold on BrandShopping for AUD$160.95 and on HotCosmetics for AUD$217. In Russia, I found what appears to be SergeLutens.Ru which sells Santal de Mysore in the 50 ml bottle, but I don’t think Serge Lutens has a Russian website. It’s clearly a vendor of some kind, though. Samples: You can test out Santal de Mysore by ordering a sample from Surrender to Chance where prices start at $3.99 for a 1/2 ml vial. There is also a Five Lutens Bell Jar Sample Set starting at $18.99 where you get your choice of 5 non-export Paris Exclusives with each vial being a 1/2 ml.